Gloria Salmon, loving wife, mother, grandmother, great-grandmother, great-great-grandmother, sister, and friend, lovingly and peacefully returned to her Heavenly Father on February 3, 2018. Born Gloria Bolette Aagard to Neils Jensen Aagard and Anna Laura Memmott on July 23, 1922 in Levan, Utah. She lived her life as an example of tenderness, grace, and unwavering faith in the Lord to all those who knew her. She always championed the downtrodden and less fortunate and brightened everyone’s path that came to know her. She is survived by her children, Dana K. Spens, Robert O. Salmon, Scott A. Salmon, and Matthew J. Salmon, 24 grandchildren, 75 great-grandchildren, and 20 great-great-grandchildren. Her sweetheart, Robert J. Salmon and her two oldest sons, Jonathan R. Salmon and Stephen C. Salmon, preceded her in death. 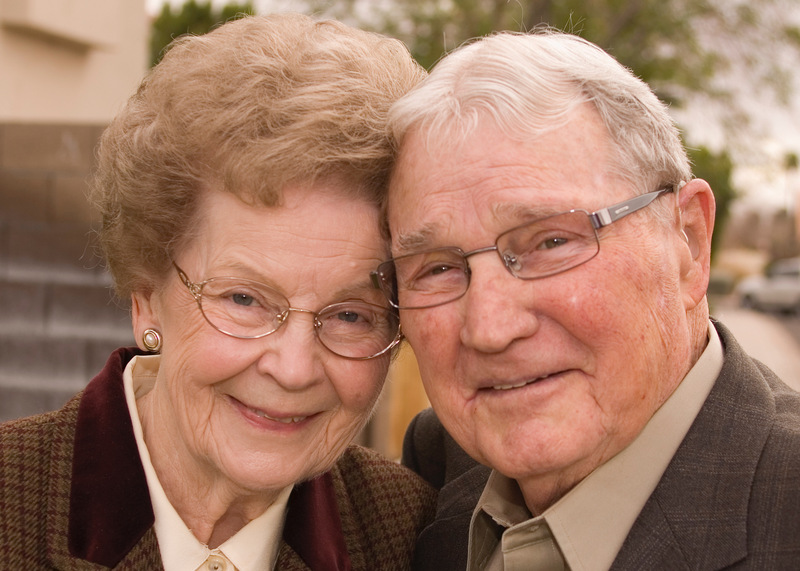 Gloria’s greatest joys were her family, and serving others. She held many leadership positions in the Church of Jesus Christ of Latter-day Saints, too numerous to mention, but her favorite calling was as a temple worker, both with her husband, and by herself after he returned to the Lord. She never had to preach her beliefs because she lived them to the utmost every minute of every day. Funeral services will be Saturday, February 10, at 10:00 am at the LDS Church located at 4346 S. Val Vista Drive in Gilbert, Arizona, with viewing prior to the service from 9:00-9:45 a.m.
Bunker Family Garden Chapel, 33 N. Centennial Way, Mesa, AZ 85201, is handling funeral services. Prayers of comfort for all the family. I was Sister Salmon’s home teacher for a lot of years . . . even when Bro. Salmon was still with us. Sorry to hear of her passing.